Do you have a vision for a Tennessee with no more homeless pets? We believe in saving lives through prevention. Almost all of our 95 counties in TN have a spay/neuter assistance program. We know the best way to reduce shelter euthanasia is to reduce shelter intake and this is best done by always altering before adoption and by fixing pets in their homes. Our pet ownership rates are double the national average in most of the state, particularly in the many counties without animal control or shelter options. Together, we can stop the cycle of abuse. Through prevention. 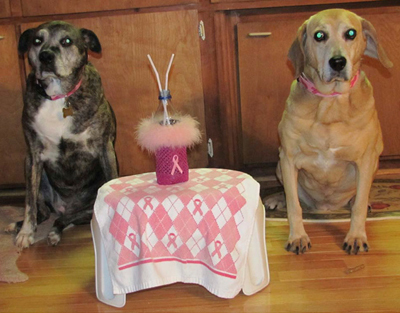 All donations will go to Spay Tennessee to help state-wide spay/neuter programs. The receipt will show the name of parent organization, Friends of Animals. Our mission is to be a referral program to help Tennessee residents find affordable spay/neuter services. We also network with all the spay/neuter programs. Our goal is to end the suffering and killing of innocent dogs and cats by reducing the number of unwanted litters of puppies and kittens born in Tennessee every year. We are pleased to partner with shelters and rescues to realize a goal of every pet being spayed or neutered prior to adoption. Our philosophy is that an animal has not been successfully rescued until is has been spayed or neutered. 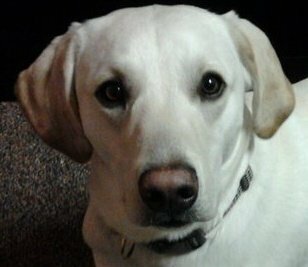 He is a neutered yellow British Labrador whose caretaker is State Senator Jon Lundberg (R-Bristol). As a House member, Rep Lundberg was 2012 Tennessee Humane Legislator of the Year! Nash accompanies Senator Lundberg to Nashville during the legislative session and attends meetings. Nash encourages Tennessee voters to keep up with animal issues and their legislators voting record! Every day in US, 10,000 babies are born...and 70,000 puppies and kittens. Do the math - there aren't enough homes. Use our online directory or call 1-866-355-SPAY (866-355-7729) to find a spay/neuter clinic in your area. Call anytime. Outside of regular business hours, please leave a message. Dogs are 15 times more prolific. Did you know that female cats and dogs can get pregnant before they are six months old? And that spaying these females before their first heat practically eliminates their chances of mammary tumors and breast cancer in their lifetimes? For better health and no risk of unwanted litters, please spay your females before six months of age. For more information, visit spayfirst.org or www.beat-the-heat.org/spay-neuter. Do you know of a program that we haven't listed? Please contact Spay Tennessee to include your clinic or spay/neuter program in our database. Pets can't add-but they sure can multiply! Copyright © 2010-2017 SpayTennessee.org. All Rights Reserved.